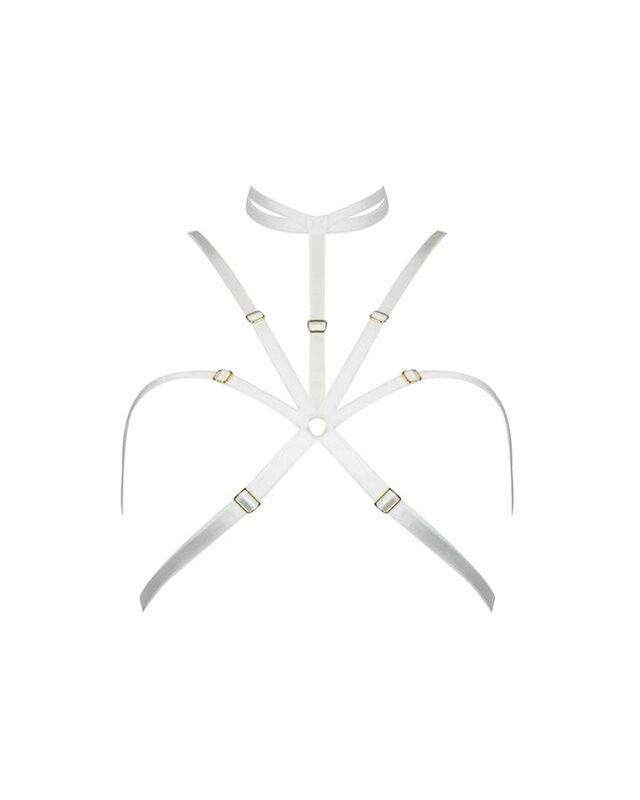 Discover the newly developed Soft Bra with signature adjustable elastic strapping. 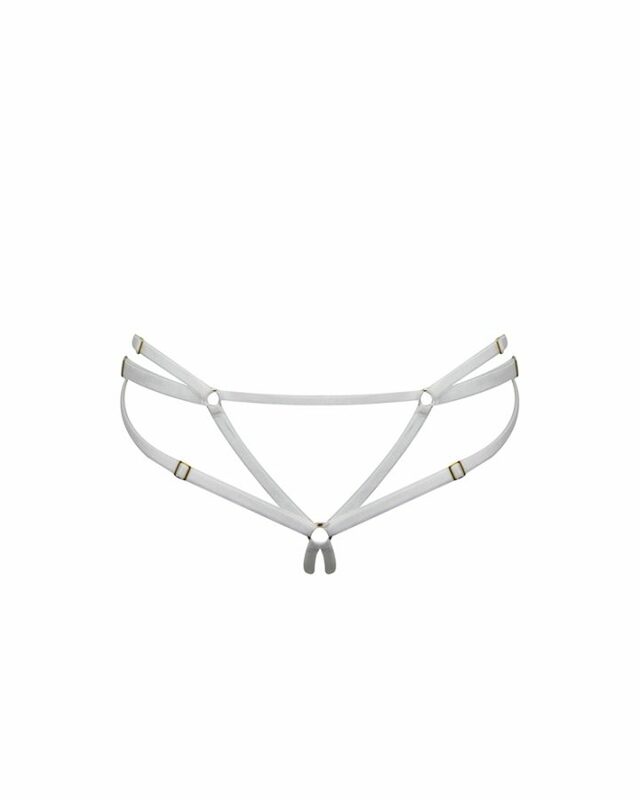 Flirty and adventurous, whilst maintaining enough comfort to make this wearable every day. A micro mesh cup with pure silk overlay feels delectable against the skin, adding just a scintilla of strappy provocation. 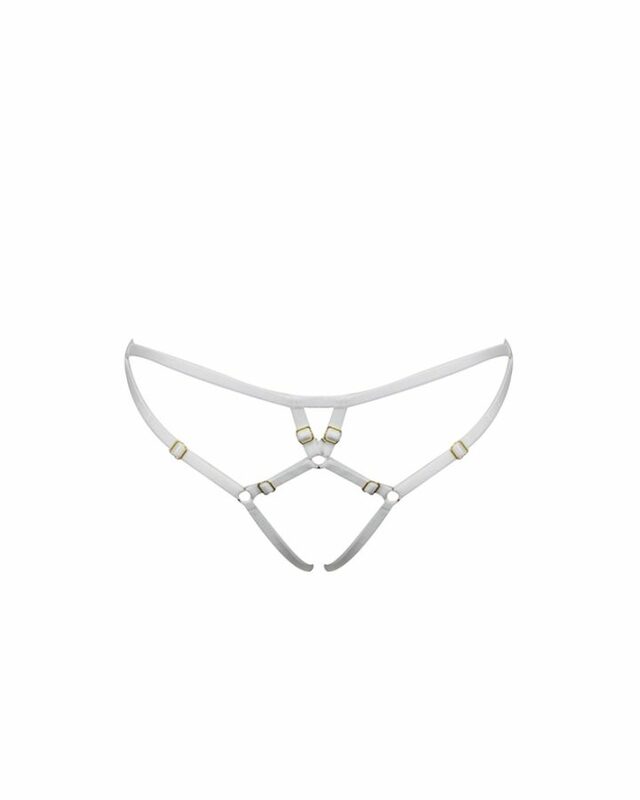 Mix and match with Harness Garter Brief or any thongs from the Signature line for a daring look.